It was my last assignment in Mindanao for Bato Balani Foundation's annual recognition program called "The Many Faces of the Teacher". I travelled to Isabela City in Basilan for my first interview. From there, I went on to Zamboanga City to catch a plane to Davao City, for the second interview. From Davao City, I took a bus to Bukidnon. The journey from Davao City to Valencia in Bukidnon was among the most scenic drives I have ever made. As we passed by Buda (Bukidnon-Davao), I wanted to jump off the bus, lie under the majestic pine trees, and enjoy the cool mountain air. But - work! So, I just took in what I could during the ride. We alighted at Valencia to meet the family of Teacher Junmerth. 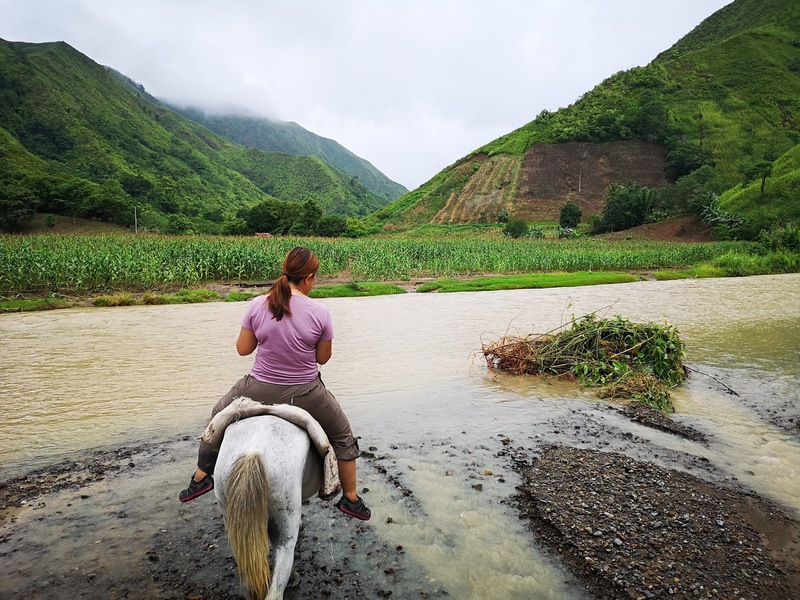 We rode with them to their home in San Fernando, where we would stay the night, before proceeding to the school to conduct our interviews. 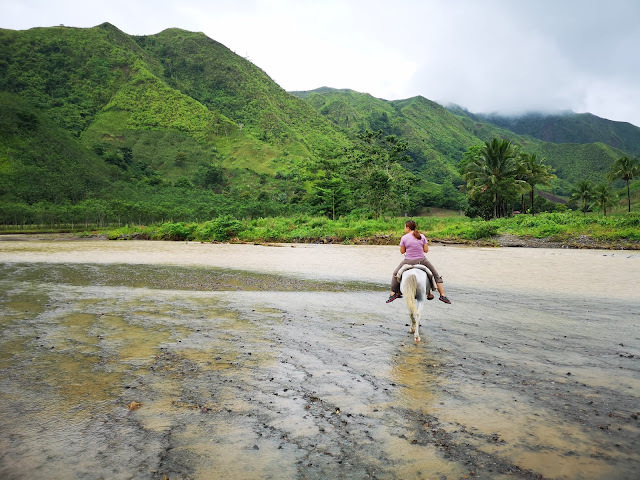 It was already dawn when we reached San Fernando and, after enjoying dinner, we called it a night so we would be able to wake early for the trip to Sitio Balugom in Barangay Kalagangan. 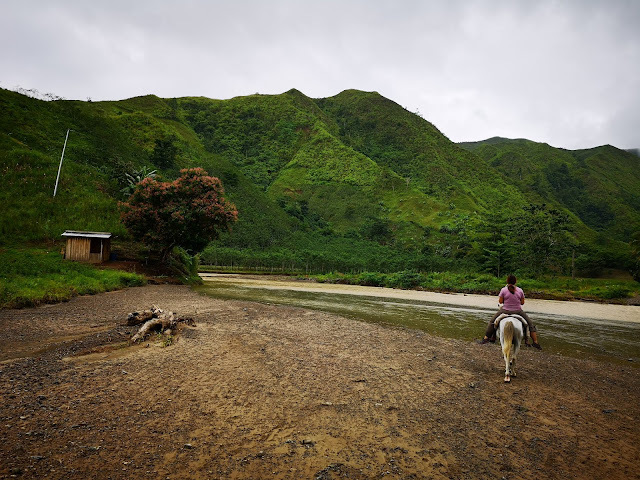 On our way, we saw more of San Fernando, including its rivers – the Tigwa River, which occupies the northern and central part, and the Salug River, which occupies the southern part. The community we were visiting lies beside the Salug River. They are also members of the Matigsalug Tribe. (Matigsalug actually means ‘people along Salug River’. ‘Salug’ translates to river, by the way). The communities I visited in Davao City are also from the same tribal group. The Salug River is a tributary of the Davao River. 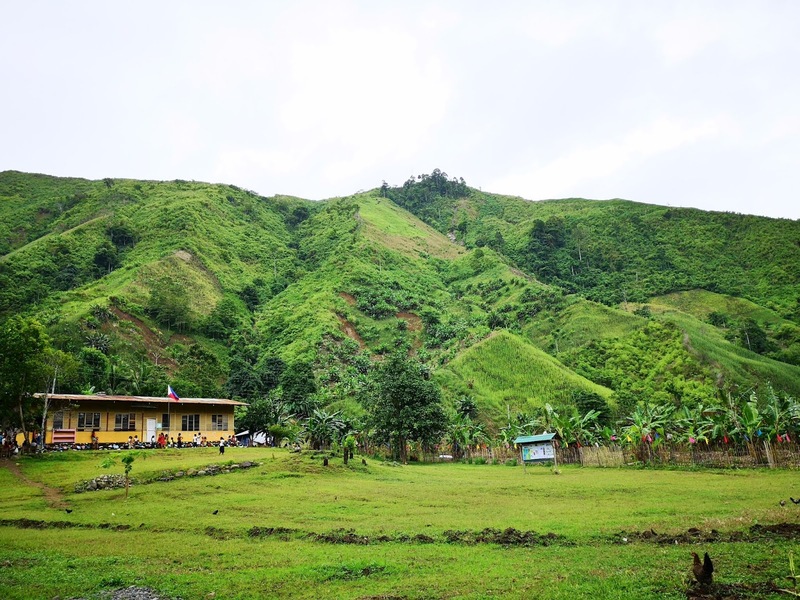 The community in Bukidnon was the third Matigsalug community I have had the pleasure of visiting. From our jump-off point it was still 5.5 kilometers to the community. The journey included no less than fifteen river crossings! A horse had been arranged for me, and I have to say, I was little apprehensive at first (I pitied the poor animal!). It was actually the first time I had traveled on horseback, though I did remember previous rides which had been for recreational purposes only! I was worried, but once I settled into the rhythm of the ride, I was able to appreciate the beauty surrounding me. We crossed rivers, rode through impossibly lush landscapes, all the while surrounded by mountains. What could be more picturesque than that? It took us two hours; two lovely hours! When we arrived, some of the community members started playing traditional music. I thought it was just random. About eight members of the tribe used wooden sticks to strike a log to create festive beats. Teacher Junmerth was the first to welcome us. He said the elders had suggested the musical welcome, ‘Para masaya’ (so that it is festive). I noticed the women of the tribe had more intricate accessories than the men. They wore sul-oy, or earrings, that formed into necklaces. They were also decorated with panguton, or tattoos. We listened to the short drum program and then I interviewed Teacher Junmerth. I learned that prior to the arrival of Teacher Junmerth, only volunteer teachers had been to Sitio Balugom to teach. And, as they were not sanctioned by the Department of Education, their achievements were not accredited. Students were not being promoted (e.g., from grades 1 to 2, or 3 to 4), so there were students who had continued to remain in Grade 1 - even though they had been attending school for years. When he first arrived, Teacher Junmerth was tasked with just managing the students and assisting the volunteer teachers. He visited the community every Thursday. After a year of this once-a-week program, Junmerth was finally invited to stay in the community as a teacher. Despite the fact that he had difficulties in adjusting to life in the community without the comforts he was used to, including the non-availability of comfort rooms, he persisted. It was mainly through his efforts that Kèupiyanan Tè Balugo, a public school, was established. But, that was not the only task he took on. He has seen the reality of most of his students arriving at school with empty stomachs. 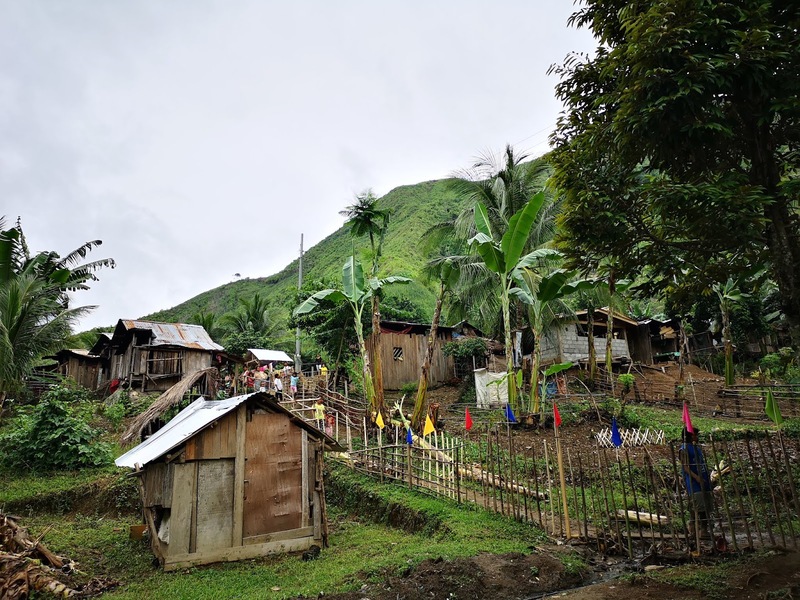 This prompted him to establish a feeding program called ‘Balugo Pagkaon Sakto’, which has been running for three years now. The program, which has gained the support of non-governmental organisations as well as the local government and the Municipal Department of Agriculture, has helped him encourage more students to enroll, and has served to curb absenteeism and reduce the dropout rate. Just in the curbing of absenteeism, Teacher Junmerth deems the program successful. “Kung mag stay sila sa kanilang bahay, wala naman talagang pag-kain doon eh. Kaya, mag-aral na lang ako. Meron pang pagkain don sa eskwelahan.” (If they stay at home, they do not have anything to eat. But, if they go to school, food is waiting for them). However, during school vacations, students regress to being wasted or severely wasted, and even malnourished. Aside from the feeding program, Junmerth has established other interventions. He has also been teaching adults. And he has collected funds for the construction of other school facilities. I was inspired a lot by my interview with Teacher Junmerth and members of the community. Truly, there is no limit to what teachers can do to effect change for the better in these remote communities when they put their hearts into it. Before we left the community, some members of its members sang and danced for us. 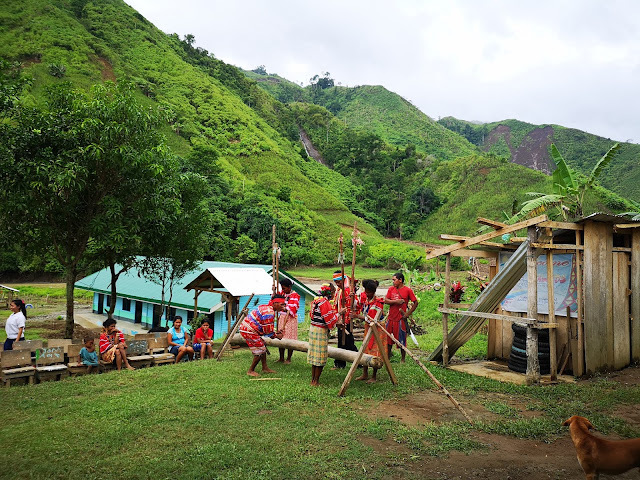 This was awesome to experience, knowing these people were performing on the land of their forefathers, in the heart of the mountains, and beside the river from which they took their name. 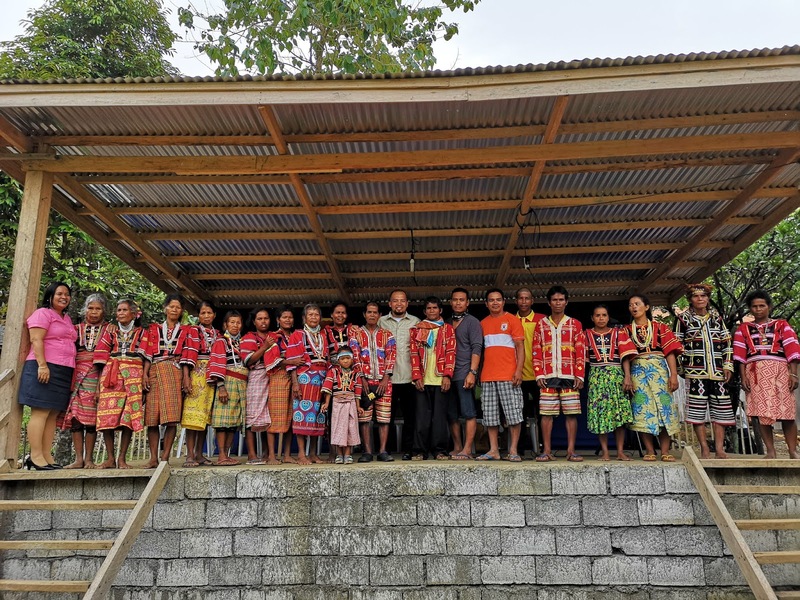 This article completes my series of stories about teachers who are devoting their lives, not just to teach, but to uplift the lives of our indigenous brothers and sisters. I recently travelled around the country interviewing teachers who are finalists of the annual awards of Diwa Learning Systems and Bato Balani Foundation. This is called ‘The Many Faces of the Teachers’. Five of the twelve teachers are educating tribal members. I am doing this series because my heart is so close to the country’s indigenous peoples. The other teachers, if I may add, are just as inspiring. You can read about them, too, in the local papers.